Written by Peregrine Travel Centre SA team member Adriana. In March last year I spent a weekend in Atlanta after a 3-week tour. I wasn’t sure what to expect from this southern capital city, but I left pleasantly surprised and wanting to return for more. As I only had two days, I chose to do a day tour to fit in all the popular sites. 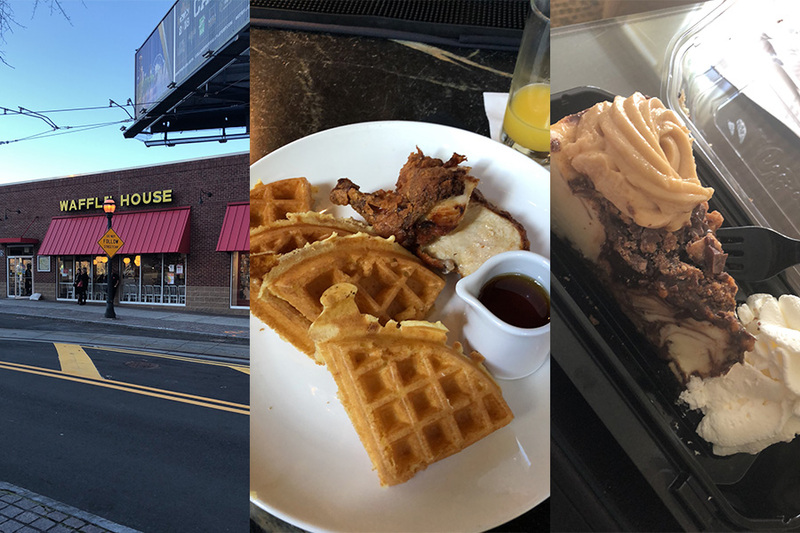 I was travelling solo, and staying in the area of Buckhead, which was close to shops and the subway station and only a short subway ride to Midtown or Downtown Atlanta. I didn’t have any issues travelling on my own in Atlanta, in fact as soon as the locals found out I was travelling alone they were only too quick to offer advice and helpful hints for exploring their home and I found everyone I met along the way to be extremely welcoming and friendly. Below are some of the highlights and ideas of what to do during your time in Atlanta, Georgia. Atlanta is the birth place and home of Martin Luther King Jr, and his legacy lives on in many places around the city. The Martin Luther King National Historical Park consists of several areas including seeing the home he grew up in. A walk through the visitor centre is a great way to learn all about the important work he did for civil rights and really understand how the work he did made such an important impact on American culture today. You can also visit the grave site where Martin Luther King and his wife were laid to rest. 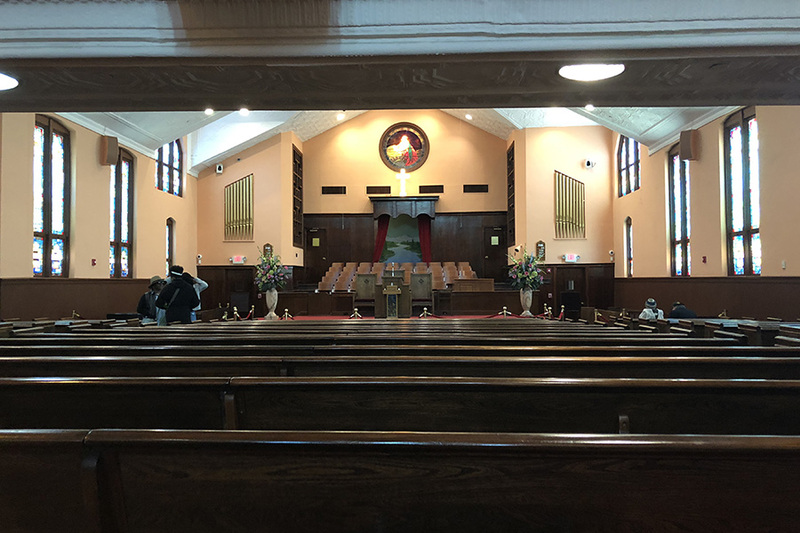 A highlight for me was visiting Ebenezer Baptist Church, the church where Martin Luther King was a pastor and delivered his sermons each week. You can sit in the church and listen to a recording of his sermon, it really was special to sit there (even as an Australian) and know he stood in this very room saying those words. Jimmy Carter was the 39th President of the United States (1977-1981), born and raised in Georgia and the museum and library is full of exhibitions both about his time as President and the US Presidency in general. Visitors can see a life-size replica of the Oval Office (my personal favourite) and learn through interactive maps, videos, documents and other objects. 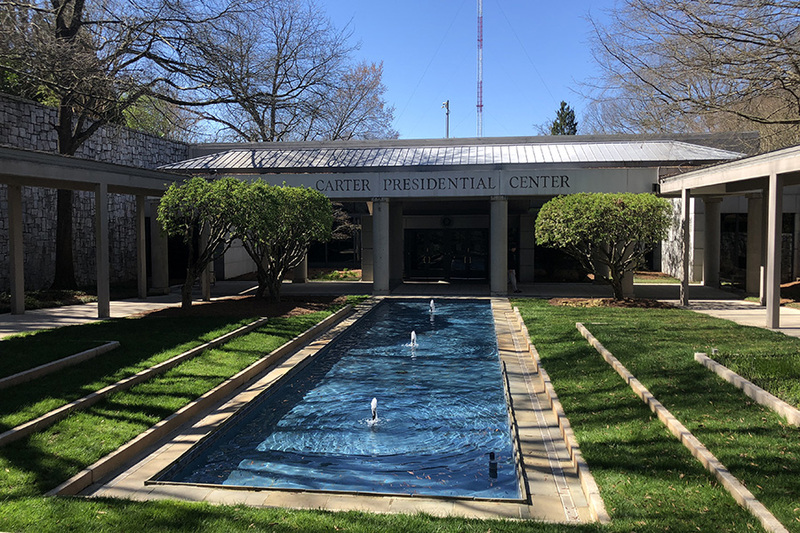 Even if you’re not a history buff, it’s an interesting experience and I learnt a lot about the Carters and the incredible work they’ve done through The Carter Centre since his presidency in the couple of hours I was there. Did you know that each past president has a similar museum/library in their own home state? Something to include in your itinerary if you’re interested in the history and politics of the US. Personally, I love experiencing sporting events when I travel. Wherever I go I always make sure I try to fit in something if the place I’m visiting has an event on. NBA has always been a sport I enjoyed watching on TV, and even though I’ve already been to Madison Square Gardens in NYC & Staples Centre in LA, as soon as I saw there was a game on in Atlanta during my visit, I couldn’t say no. 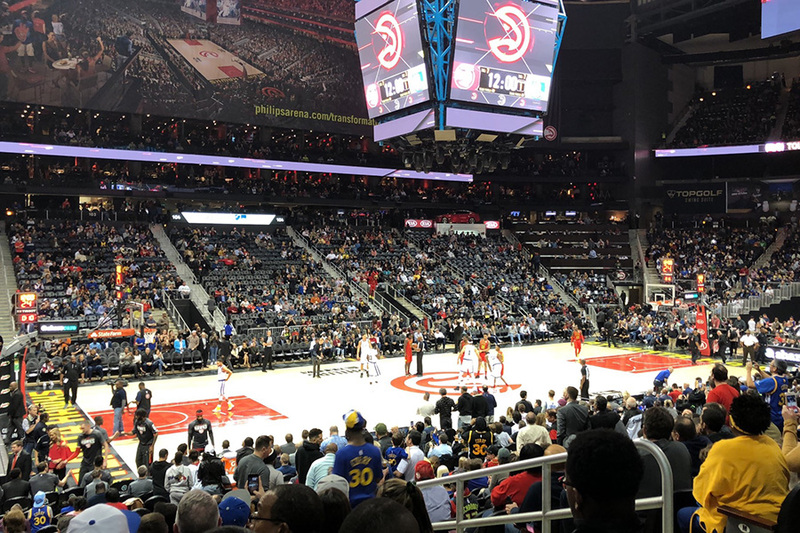 I got to enjoy watching the Atlanta Hawks play the Golden State Warriors at Phillips Arena and it’s a great way to meet some local spectators in the seats around you. Even if you aren’t into basketball, trust me the entertainment and hype of the game is enough to keep even the least sports interested person entertained! (It’s also a great option for a solo traveller, if you’re not keen on going out at night in a city on your own going to a game will get you out of your hotel room and among other people). Southern states in the US are known for their welcoming southern hospitality and their hearty & soulful food, and Atlanta is no exception! There are plenty of great food options in the city, if you’re like me and want to get a taste of iconic fast food chains you’ve seen or heard about through TV and music, they have Waffle House, The Cheesecake Factory and Georgia is the home of the original Chick-fil-A! Atlanta is also home to the largest drive-in fast food restaurant in the world – The Varsity – opened in 1928, is an icon in Atlanta. You can’t leave without having a hot dog and their famous onion rings! I also couldn’t leave without indulging in some Fried Chicken and Waffles, my tour guide recommended South City Kitchen for brunch and although it seemed a little odd to be ordering fried chicken at 10am, I’m really glad I did, it really is the ultimate combination! The wait staff even brought me over complimentary grits once they heard I hadn’t tried them before, and had 24 hours in transit ahead of me! In only two days I couldn’t visit everywhere, but one of the advantages of a guided day tour was I learnt a lot from my tour guide along the way and was able to get a glimpse of all the other great attractions in Atlanta. Here’s a few places I’d like to include if I ever get to return. World of Coca-Cola – Atlanta is the home of Coca-Cola and in this museum visitors can learn all about the iconic beverage and how it became a worldwide known brand. There’s a 4D theatre, a pop culture gallery and you can taste more than 100 international and domestic beverages made by The Coca‑Cola Company (including beverages from around the world that you won’t taste here in Australia). Georgia Aquarium – Home to over a hundred thousand animals, the Georgia Aquarium is the second largest aquarium in the world. 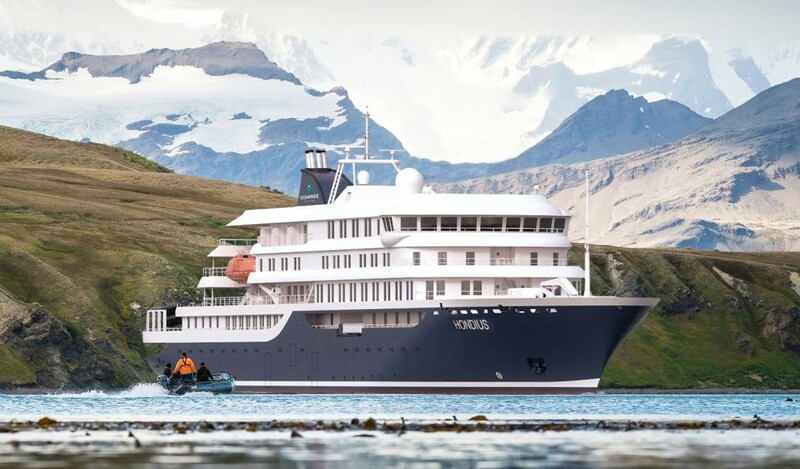 They have the largest viewing windows in the world and are dedicated to conservation and research activities and the preservation of our ocean and aquatic animals. 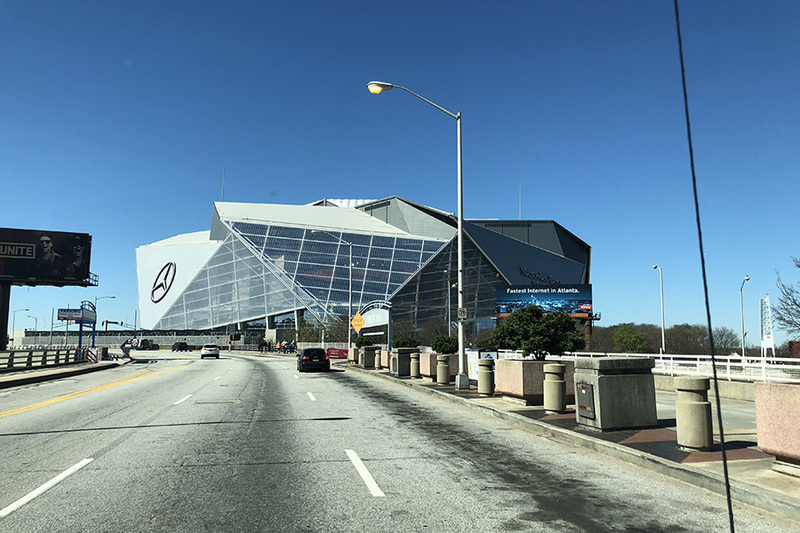 Mercedes Benz Stadium – If you’re a sports fan, the thought of Mercedes-Benz Stadium will blow your mind. It is the home stadium of the Atlanta Falcons (NFL team) and the Atlanta United FC (MLS team), it has the world’s largest video board, a retractable roof and fits 75,000 spectators. The images of the inside look amazing, and a tour of the stadium would have been great to experience. It is also home to the 2019 SuperBowl! 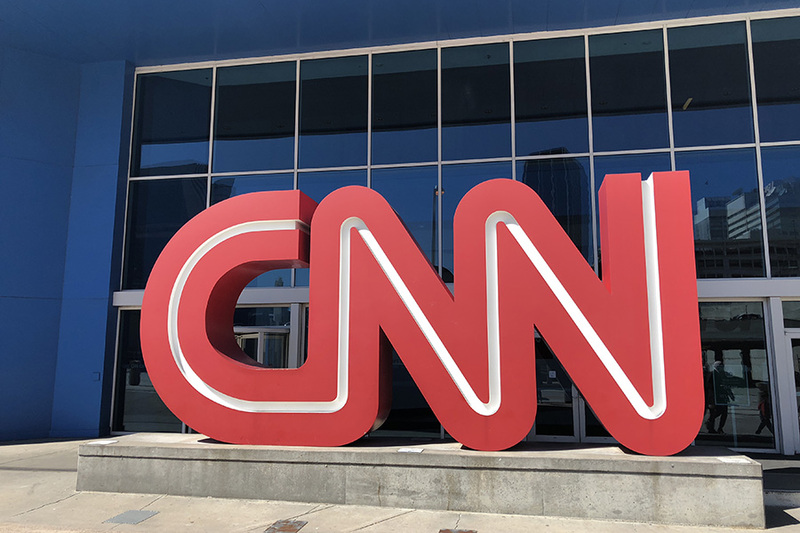 CNN Building – The CNN headquarters in Atlanta is the world headquarters of CNN. You can walk into the building, take a look around the foyer and gift shops and have a bite to eat in their food court. However, if you’d like to see more you can do a behind-the-scenes studio tour, taking a look at how a live broadcast is produced. You can also do a VIP tour which includes access into the live newsrooms and seeing the state-of-the-art control room they use daily. 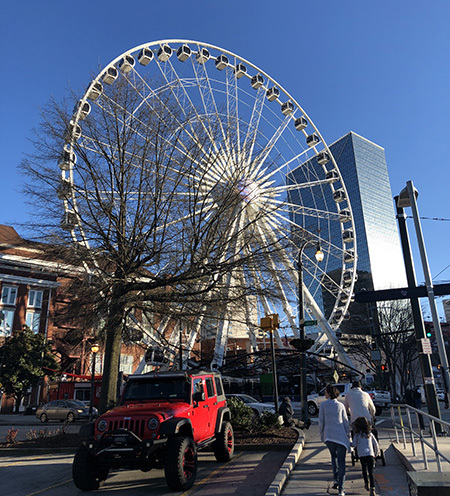 SkyView Atlanta – For an activity that is a little more slow paced, why not take a ride on the SkyView Atlanta Ferris wheel in Centennial Park. The 20 story high attraction has climate controlled gondolas offering scenic views of Atlanta from above. As you can see, there is so much to see and do during your time in Atlanta, it’s worth allowing a few days to be able to take it all in properly and not be rushed. If you’d like to know more about including Atlanta on your US itinerary contact our team of friendly consultants today! All images taken by Adriana.